This will create an app in the folder ./pusher-cordova with id com.domain.pusher-cordova and the app name in the config.xml will be PusherCordova. The id com.domain.pusher-cordova is important here, as this will determine the bundle_id in your iOS application, which must match the bundle_id in your APNs certificate for push notifications to work. You'll likely see an error, but you can ignore this as it doesn't affect the application. Build and run the browser to start a local server and view your app. 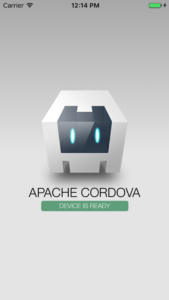 Run cordova requirements to check the dependancies for your platforms. You'll probably see a bunch of warnings and errors (you can ignore the browser error again). Follow the instructions to install anything missing for iOS. Run cordova build ios to compile the iOS project for the first time, which will create a .app file in ./platforms/ios/build/emulator. At this point you'll get a codesign error. This is normal. Go to ./platforms/ios/ and open PusherCordova.xcodeproj. Codesign the application using your Apple Developer account with the correct provisioning profile and bundle_id (details above in _Prerequisites_). You'll also see a couple of warnings in Xcode that recommend updating some settings. Go ahead and fix these so that your project is nice and clean. 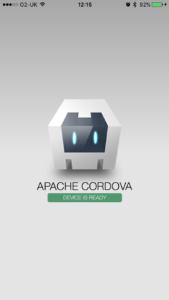 Run cordova build ios again. This will deploy to iPhone SE simulator by default, and you'll see the app load and look identical to the browser's UI. cordova run ios --device, watch the build succeed and see the app load on your device. So, we can see that a single HTML/CSS/JS code-base runs cross-platform, now let's see how easy it is to make changes to this code and update the UI. Stop and restart the browser server (CTRL+C then cordova run browser), and re-run cordova emulate ios and you'll see the text across both platforms is now updated. Pretty cool! Right, so the real reason we're here; Pusher! You'll need to remove the Content Security Header in the <head>, as this will block the connection to Pusher. This HTML element is where all our realtime UI updates will happen. Now, we're all set. 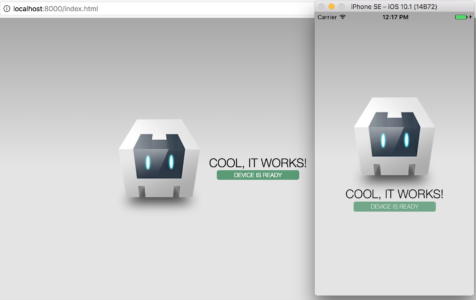 Run cordova run browser, cordova emulate ios and cordova run ios --device again to compile these changes. The first thing you'll notice is that the UI is updating based on Pusher's connection-state. Now head on over the the Pusher Dashboard, go to your app's debug console, and use the event creator to trigger a message to channel cordova and event cordova-event. 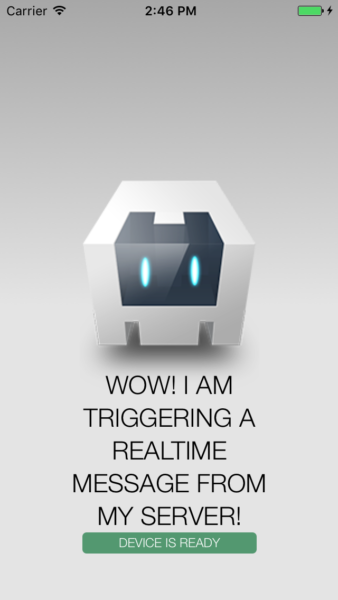 You should now see the UI update with the message value of the event data you just triggered. If you do, then it works! Otherwise, have another read over the stuff above and try again - you may have missed a small detail. Your Pusher application now works on the web and on iOS, and you only had to update your HTML and rebuild! Receiving push notifications on an iOS app built with Cordova very easy. In fact, it's no different to implementing this feature in a native iOS application, as everything is still handled through Xcode. PusherSwift is our official iOS library. 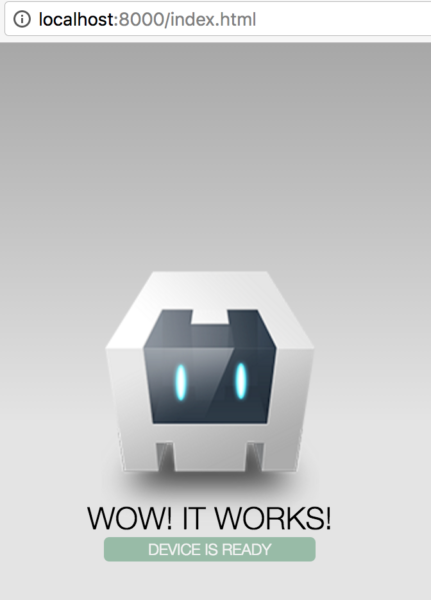 Magically, it also works with Objective-C! This is very good news, as Cordova doesn't support Swift yet in the sense that the Xcode project it creates for your iOS platform is written in Objective-C. Again, there are plugins and Cocoapods available and you could always build your own project from scratch rather than use Cordova's template, but thanks to PusherSwift being so clever we don't need to do that! If you've ever used PusherSwift before, the chances are you installed it with Cocoapods. 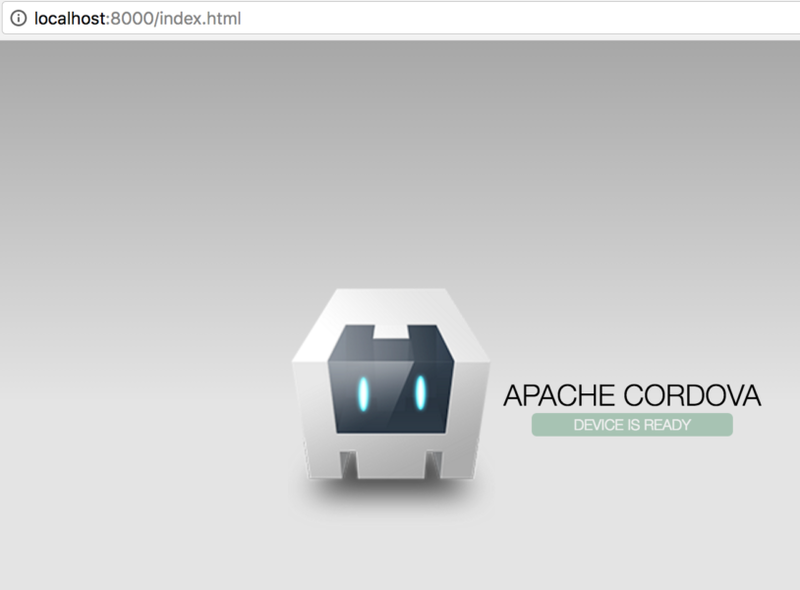 Annoyingly, Cordova doesn't work so well with Cocoapods. Why? I'm not really sure, but after running into error after error, hitting brick wall after brick wall, some searches on Stack Overflow confirmed my suspicions that Cocoapods just don't work so well in Cordova - especially ones that use bridging headers, like PusherSwift. Fear not. This actually makes everything that little bit simpler, as Cocoapods can be quite a difficult beast when it doesn't get it's own way, and we can just import PusherSwift as a framework instead. This isn't ideal in all cases, as Cocoapods does make it easy to keep dependancies up to date, but we just need the one framework for this project so that's what we'll do. Head over to the releases page for PusherSwift and download the file PusherSwift.framework.zip from the latest release (4.0.1 at the time of writing this). Locate and unzip the downloaded PusherSwift.framework.zip, and you'll find PusherSwift.framework at the path ./Carthage/Build/iOS. Drag and drop the file into the Xcode project that you opened earlier. You should add the framework file to Embedded Binaries in the target's General settings. This also adds a duplicate to Linked Frameworks and Libraries, so you need to remove one of them. Lastly, go to the target's Build Settings and find the Always Embed Swift Standard Libraries setting, and change the value to Yes. Build the project in Xcode, and you should see it succeed with no errors or warnings. Bosh! 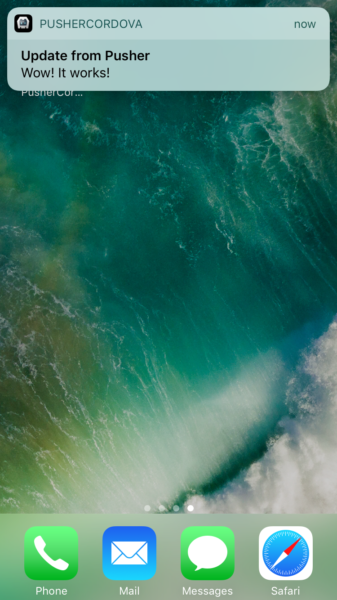 If you've set up an iOS application for Push Notifications before, you'll be familiar with this next part. 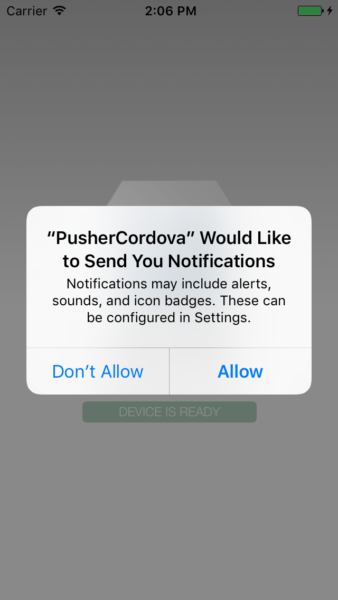 If you've set up Push Notifications with Pusher's API before, then you'll be very familiar with it. 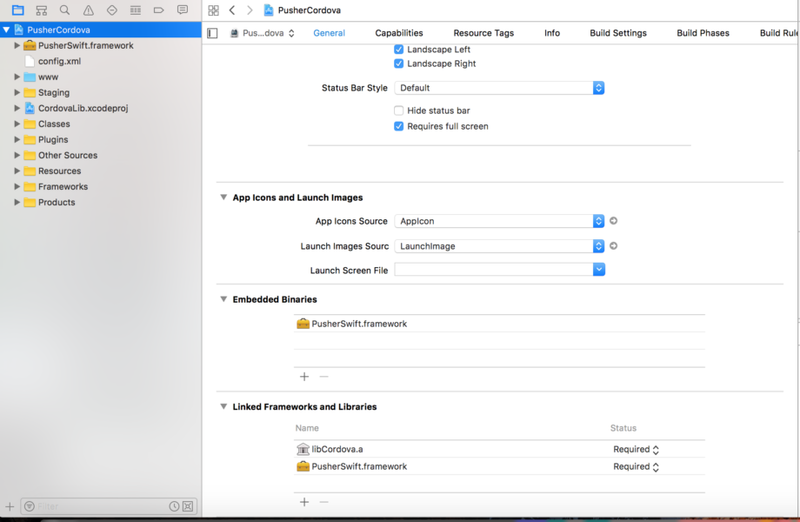 You can see that we are importing the bridging header for PusherSwift which will allow us to use the library in Objective-C. We are also creating a new Pusher object. In applicationDidFinishLaunchingWithOptions, the code will look slightly different to how it usually would, due to some changes made by Cordova. // Enable or disable features based on authorisation. Now we want to register the individual device to APNs using it's deviceToken, and also subscribe it to a Pusher interest. Head over to app target's capabilities and switch the Push Notifications capability on, otherwise didFailToRegisterForRemotePushNotifications will be called, and that's not what we want! This method simply prints the notification payload. That's it! That's all the Objective-C code we need to write in order for our application to receive Push Notifications. Now we want to see the fruits of our labour, so we want to trigger a Push Notification. We can't do that from the debug console like realtime messages so we need to write a server application. For this example, our server will be written in Node JS. Start by installing Pusher globally with npm if you haven't already. You should see the message in your app's updated UI. Close the app on your iOS device, and run node server. You should see the Push Notification on your device. What would be really cool, though, is to send an arbitrary "message" and abstract whether or not it is a realtime message or a Push Notification. So, the web app will get the realtime message as normal, and the iOS will get it if the app is open. But if the app isn't open, it will receive a Push Notification instead and the user experience then becomes fairly seamless. So, to get this done we need to define a few functions and variables. So sendMessage() takes 3 parameters; type which is of type messageType (too many types there...), topic which equates to either a realtime message channel_, or a Push Notification _interest and is of type string_, and lastly message which is another _string and is simply the message you want to send. From this, you'll be able to see that we need to define a couple more functions, sendRealtimeMessage() and sendPushNotification(). The code for these is already written as we used it earlier. Result! The function takes a channel parameter, which is the topic string from our sendMessage() function, and a message parameter, which (yes, you guessed it!) is the message parameter from our sendMessage() function. Just like sendRealtimeMessage, this function takes an interest parameter from sendPushNotification()'s topic, and a message parameter, which...well, you know what that is! You'll notice the // GCM comment, which indicates that you can add the payload for a GCM Push Notification in this function later on, and calling the arbitrary sendMessage() function will just work across all platforms like magic without changing anything else on the server-side. So we're done. The last thing to do before testing that everything works is to call our sendMessage() function! 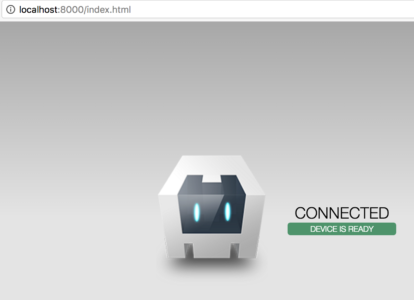 Run cordova run ios --device, cordova emulate ios and cordova run browser, then run node server. The first thing you'll notice is that the pusher-event HTML element changes on the browser and on iOS as it did before. Great, that's a good sign! Now, press the home button on your iOS device to send the app to the background. And there it is. The magic. You should see that the browser updates the HTML element as normal, but your iOS device received a Push Notification! Conveniently, iOS by default doesn't handle Push Notifications when the app is in the foreground. The notification is still being received, but the app isn't doing anything with it. It's easy to add this handling, but for this example we don't want or need it. What's also really cool is that tapping on the notification to bring the app into the foreground again shows that the HTML element has updated there too (though this doesn't work if the app wasn't in the background in the first place ?). So there you have it - a cross-platform application that receives realtime updates and native Push Notifications seamlessly.